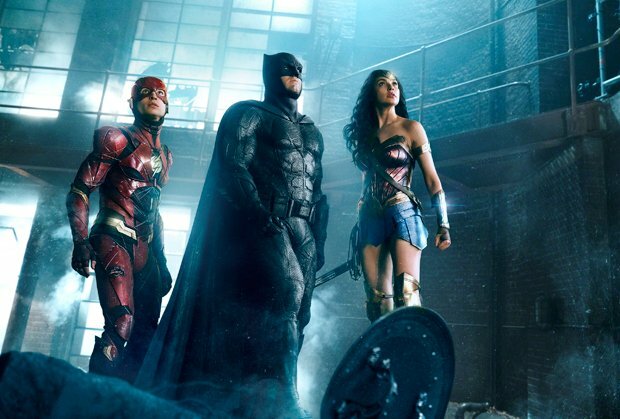 Those who endured Zack Snyder's lumbering Batman v Superman will already be well prepped for Justice League. It's the DC answer to Marvel's Avengers Assemble, as a team of superheroes band together to fight an alien invasion led by chief antagonist Steppenwolf. Doing the gathering is Bruce Wayne (Ben Affleck), the billionaire behind Batman last seen duking it out with Henry Cavill's Superman – who is now being mourned in Metropolis and beyond. Also on the team is Gal Gadot's Wonder Woman, back in the present day after her WWI-set standalone adventure, perhaps the first of the DC Extended Universe movies to really get it right. Newcomers include the hitherto-only-glimpsed underwater king Aquaman (Jason Momoa), adolescent speedster The Flash (Ezra Miller) and Cyborg (Ray Fisher), a part-machine whose father works at STAR Labs. After Batman rounds them up, the real business of taking down the bad guy begins. As so often with mega-budget comic book movies, the villain isn't half as interesting as the heroes. Flanked by his insect-like army of Parademons, Steppenwolf (voiced by Ciarán Hinds, employing his distinct rumble) spends his time collecting a series of boxes to form the Unity, described as 'the mother of horrors'. But, drenched in soulless CGI, there's no definition to the character. There's also a stranded Eastern European family – presumably supposed to represent humanity in peril – that really flops as an idea. Yet, in truth, Justice League is more watchable than its direct predecessor Batman v Superman. The presence of Joss Whedon – initially brought in for rewrites, he handled post-production and reshoots when director Snyder bowed out due to the tragic death of his daughter – can certainly be felt. Consequently it's lighter in places, even if half of comic relief Miller's jokes drop like stones. Momoa's Aquaman is wasted, but the returning actors – like Affleck and Gadot – are beginning to grow into their roles. Gradually DC are getting there, yet this remains leagues behind their rival Marvel. General release from Fri 17 Nov.
A team of superheroes forms to fight an alien invasion led by chief baddie Steppenwolf (Hinds). As so often, the villain is less interesting than the heroes, being a soulless CGI creation, but Affleck and Gadot are growing into their roles and it’s a lot better than the lumbering Batman vs Superman.